Zimbabwean media personality, model and actress Vimbai Mutinhiri was the latest guest on a new episode “Conversations with Labo”. 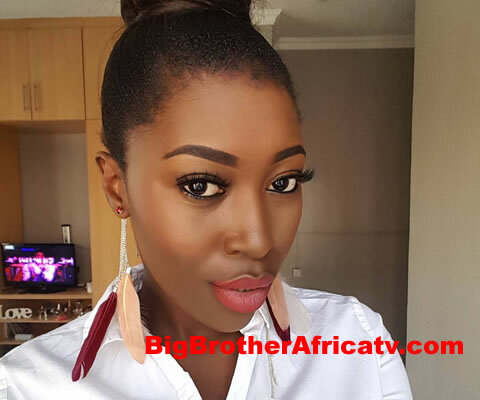 The media personality, who was also a contestant for Big Brother Amplified 2011 and she was the 16th housemate to be evicted on Day 84, Vimbai talks about everything in this interview. They had a candid and revealing chat about Vimabi becoming the most successful former Big Brother Africa contestant and what she did differently than the rest, relocating to Nigeria and her never been told experience with a “Yoruba demon”. She also talks about her journey from being a novice presenter to executive producer of the no 1 entertainment show in Africa with over 500 hours of prime time in 54 countries and her struggles leading a production team of 20 people as a “20 something year old young girl” and what sustained her through it all. The conversation ends with her speaking on the greatest misconception about her and what she thinks Nigerians are good at.